The Food and Agricultural Organization (FAO) of the United Nations released its Action Plan on Antimicrobial Resistance on September 14. The release of the plan follows the adoption of a resolution on antimicrobial resistance (AMR) at FAO’s 39th Conference in June 2015 which recognised AMR as a serious threat to both public health and sustainable food production. Antimicrobial drugs, specifically antibiotics, play a critical role in the treatment of diseases in farm animals. However, the misuse and overuse of antibiotics in animals accelerates the rise of AMR. In intensive food-animal production settings, as in poultry, pig and fish farms, antibiotics are routinely used for non-therapeutic purposes such as growth promotion or mass disease prevention. Such rampant use can lead to greater transfer of antibiotic residues and resistant bacteria into humans through food, direct contact and the environment. The risks from AMR in agriculture are higher in countries where laws, regulations and monitoring systems are less stringent. Except some champion countries within the European Union, the surveillance systems for antimicrobial use and resistance in livestock in many countries are weak and there is not much data available. Despite evidence, the focus on limiting the environmental spread of AMR into farm waste is limited. Globally, there has been a rise in efforts to address the threat from rising AMR. The Global Action Plan to contain AMR adopted by the World Health Organization (WHO) in 2015 recognises the need to limit AMR in humans and animals. The WHO-OIE (World Organisation for Animal Health)-FAO collaboration is addressing AMR across multiple sectors. A high-level meeting on AMR is scheduled for September 21 in New York at the UN General Assembly with the objective of garnering strong global political commitment on the issue. The FAO Action Plan is timely and draws attention towards the terrestrial, aquatic animal and agriculture sectors. However, the plan is broad and does not detail specific steps which should be taken by developed as well as developing countries to reduce antibiotic use in food and agriculture. It largely focuses on extending assistance and support to countries or regional organisations to help them combat AMR. 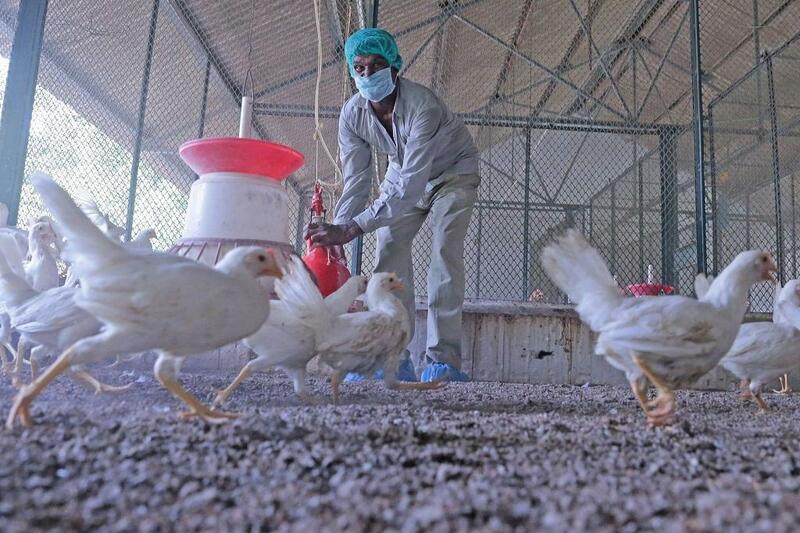 India has slowly begun to recognise and address the problem of antibiotic resistance. In his monthly radio programme, Mann ki Baat, on July 31, Prime Minister Narendra Modi said, “The government is committed to stopping antibiotic resistance.” He asked citizens to take antibiotics only when prescribed by doctors. But Indian efforts must now go beyond limiting antibiotic use in humans and focus on antibiotic misuse in animals. Non-therapeutic antibiotic use in animals, unrestricted use of human grade antibiotics in animals, easy over-the-counter availability of antibiotics, lack of monitoring of antibiotic resistance or use in animal farms or their passage into the environment are important areas of concern.